It’s been a good month for volunteers. 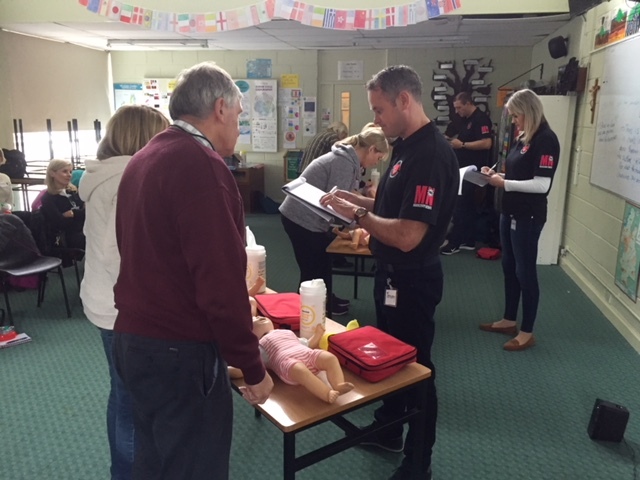 In addition to their ongoing 24 hour a day first responder service to those in the area suffering chest pain, cardiac arrest or stroke, they also trained and certified 22 people from Blarney, Ballincollig and Bandon. Their next Heartsaver class is on November 24th at 9.15 and you can book through their facebook page or by calling Deborah Lynch on 087 281 7963. The village AED was also upgraded and made more accessible with a new box, thanks to Eiremed who supplied the box, and Niall Forde, Forde Facility Services, who gave his time and expertise to fit it in the same place outside Jenny Feathers (former Tourist Office).